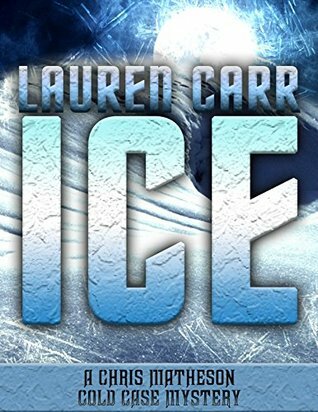 Ice: A Chris Matheson Cold Case Mystery Book 1 by Lauren Carr was published on February 26th, 2018 and is a romantic suspense thriller novel. When Sandy Lipton and her unborn child disappeared, the court of public opinion found young Chris Matheson guilty. Decades later, the retired FBI agent returns home to discover that the cloud of suspicion cast over him and his family has never lifted. About the author: Lauren Carr is the international best-selling author of the Mac Faraday, Lovers in Crime, and Thorny Rose Mysteries—over twenty titles across three fast-paced mystery series filled with twists and turns! Book reviewers and readers alike rave about how Lauren Carr’s seamlessly crosses genres to include mystery, suspense, romance, and humor. Thank you so much, Lovely Love Day, for the tremendous review of ICE. You made my day lovely!